One Eternal Day: "A black pool opened up at my feet. I dived in. It had no bottom." "A black pool opened up at my feet. I dived in. It had no bottom." Alison Dalzell, writing for the Edinburgh University Film Society notes, "Of all the adaptations of Chandler novels, this film comes as close as any to matching their stylish first person narrative and has the cinematic skill and bravado of direction to carry it off. Since the '40s countless mystery and neo-noir films have been made in Hollywood and around the world. Murder, My Sweet is what they all aspire to be." According to film critics Ellen Keneshea and Carl Macek, the picture takes Chandler's novel and transforms it into a "film with a dark ambiance unknown at [the] time." Dymytryk was able to transcend the tough dialogue and mystery film conventions by creating a "cynical vision of society." As such, the film enters the world of film noir. When the film was released in its day, Bosley Crowther, the film critic for The New York Times, appreciated the adaptation of Chandler's novel and lauded the acting, writing, "Practically all of the supporting roles are exceptionally well played, particularly by Mike Mazurki, the former wrestler, as the brutish Moose Malloy; Otto Kruger as Jules Amthor, quack-psychologist and insidious blackmailer; Anne Shirley as an innocent among the wolf pack, and Don Douglas as the police lieutenant. 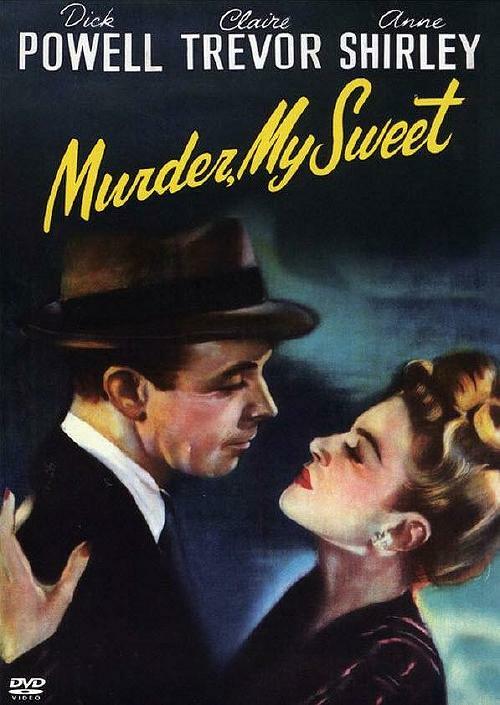 In short, Murder, My Sweet is pulse-quickening entertainment." If you are a Chandler fan, or if you enjoy hardboiled detective thrillers, or if you like noir but haven't seen this one yet, you could have a very pleasurable evening ahead .